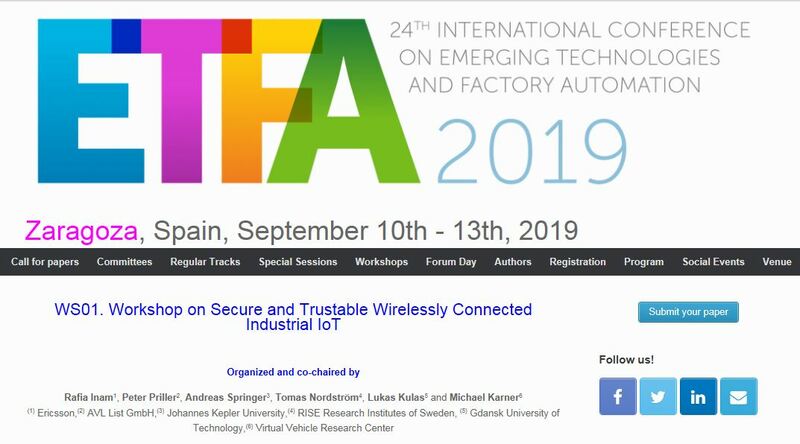 We proudly announce that SCOTT project has its own Workshop @ the EFFA 2019: “Workshop on Secure and Trustable Wirelessly Connected Industrial IoT”. The workshop will take place on September 10th as part of ETFA 2019 in Zaragoza, Spain. In the workshop recent advances in secure and trustable wirelessly connected IoT will be highlighted. Submission deadline is May 13. We are looking forward to receiving your papers and meeting you there!